He may be a week early, but Santa has delivered the music theatre revival we have all been waiting for. Attractive designs, intelligent, respectful direction and a knockout cast combine to create the freshness and excitement that must have been felt when The Sound of Music first premiered back in 1959. 56 years later, the show has the added advantage of audience familiarity with its catalogue of hit tunes. This glow of nostalgia enhances the appeal, but this revival is more than a hummable trip down musical memory lane. Jeremy Sams’ direction breathes new life into the well known and much loved story, allowing the inherent tension, romance and humanity to flow freely and organically from the characters. Cementing her place in the constellation of Australian music theatre stars, Amy Lehpamer wins each and every heart as Maria. A sensationally talented singer with an impressive body of work behind her, this will be the show that elevates Lehpamer to true Leading Lady status. As affecting as she is unaffected, Lehpamer brings delightful spontaneity to the role, creating the completely believable illusion that Maria’s adventure is unfolding for the first time. Almost too beautiful to play the modest young postulant, Lehpamer’s striking features are rendered tomboyishly handsome by a fluffy pageboy wig. This is a performance for the ages, and is not to be missed. In crafting this revival, Sams and team have blended elements of the famous movie with the original Broadway version. 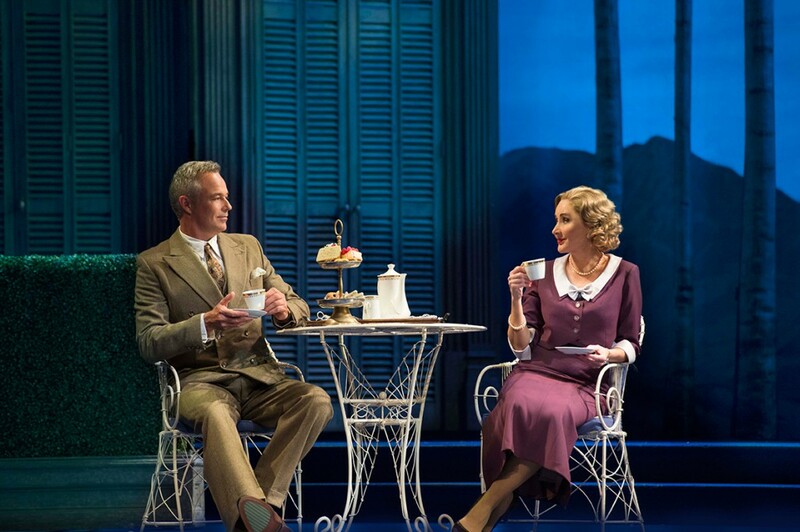 Given that “The Sound of Music” is a charm song, Maria is given the I wish song she needs with the inclusion of soaring soliloquy “I Have Confidence.” If the audience is not Maria’s side walking into the theatre, they certainly are after this number. Tender duet “Something Good” replaces the somewhat dreary “An Ordinary Couple” as Maria and the Captain profess their love. Baroness Schraeder and Max retain their two songs, which offset the sweetness of singing children and nuns. Lamenting the lack of wealthy romance protagonists, “How Can Love Survive” sneakily foreshadows Georg and Elsa’s doomed relationship. That relationship falls apart before our eyes in “No Way To Stop It,” as the intrusion of politics becomes too great. Keeping “My Favourite Things” in its original place in scene two establishes a lovely bond between Maria and Mother Abbess, but the decision for the movie to move the song to the thunderstorm scene was a wiser one. The marionette sequence for “The Lonely Goatherd” is unforgettable in the movie, but sung in its original place during the thunderstorm, its lyrics tend to be lost. 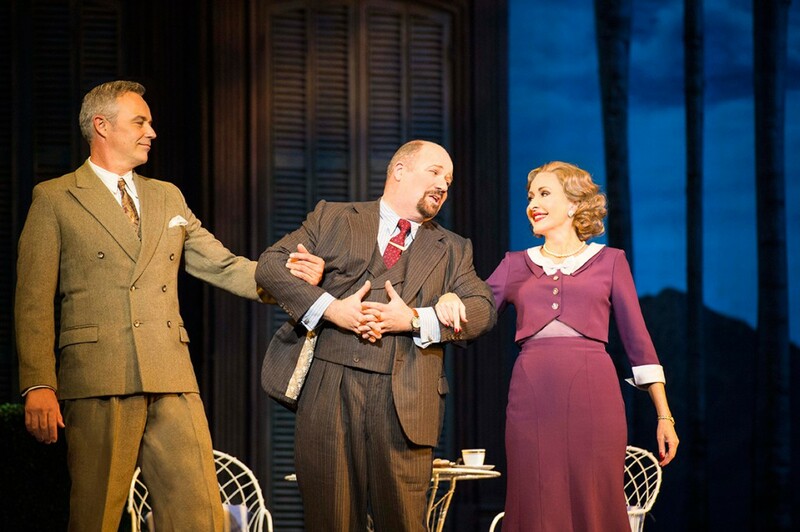 Unlike some of the underwhelming designs for recent revivals, this production, which originated in London’s Palladium Theatre in 2006, is attractively lavish and cleverly constructed. Robert Jones’ scenic design gives Maria enough mountain to twirl upon in the opening, before moving on to multiple iterations of the stately von Trapp mansion. The atmospheric interior of Capitol Theatre is a bonus for the opening abbey scene, as chanting nuns spill out into the aisles of the auditorium. Scenic transitions are expertly handled, with highlights being the journey from the abbey to the mansion during “I Have Confidence,” and the dissolve into the party scene, which sets up the evening’s most glamorous moment, as stately couples waltz beneath the grand chandelier. The visual appeal is significantly increased by Mark Henderson’s truly beautiful lighting design, which creates gorgeous skies across the spectrum from dawn through to dusk. Jones’ costumes have an authentic air that indicates thorough research. Floral fabrics are ostensibly plain, but clever use of colour makes the dresses attractive. Clever touches include splashes of pink for Marta (her favourite colour), extra glamour for the Baroness and individual touches in the uniforms. Arlene Phillips’ choreography is spritely and unintrusive. 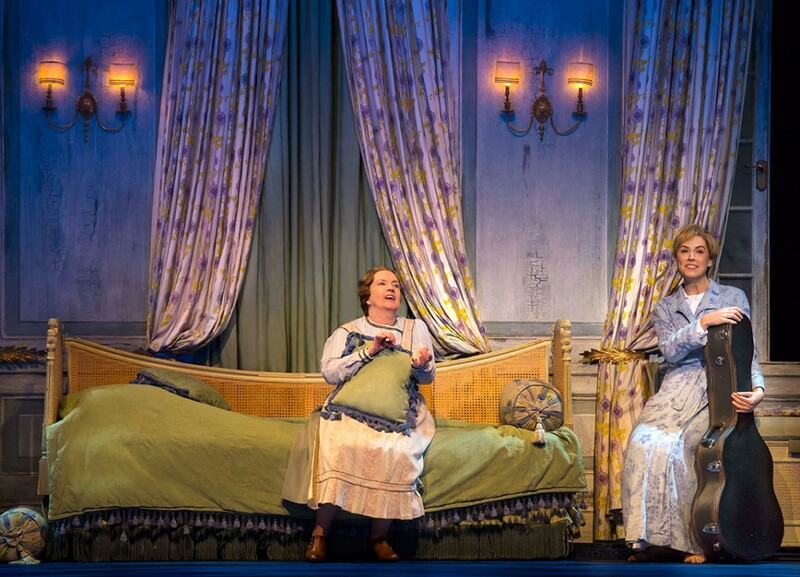 “Do-Re-Mi” is the joyous showstopper it deserves to be. Musical supervisor Peter Casey and musical director Luke Hunter have created a wonderfully rich, full sound from the orchestra, which features 13 talented musicians. 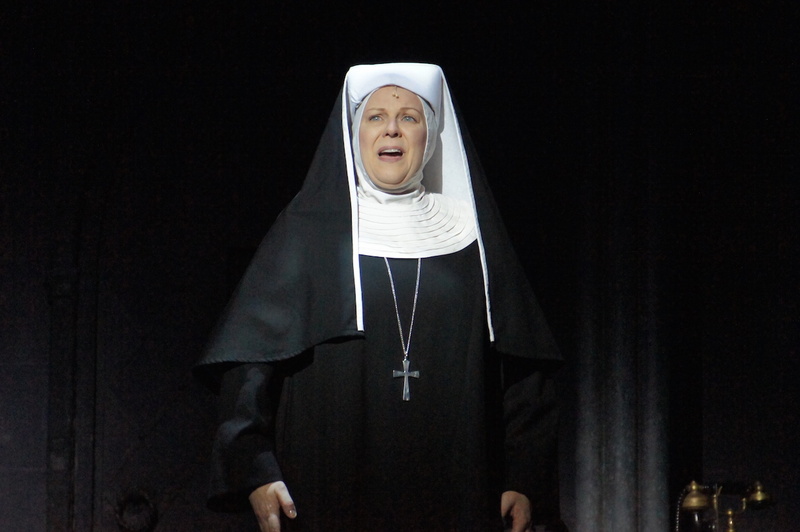 Another breakout performance in this season comes from acclaimed opera singer Jacqueline Dark as Mother Abbess. 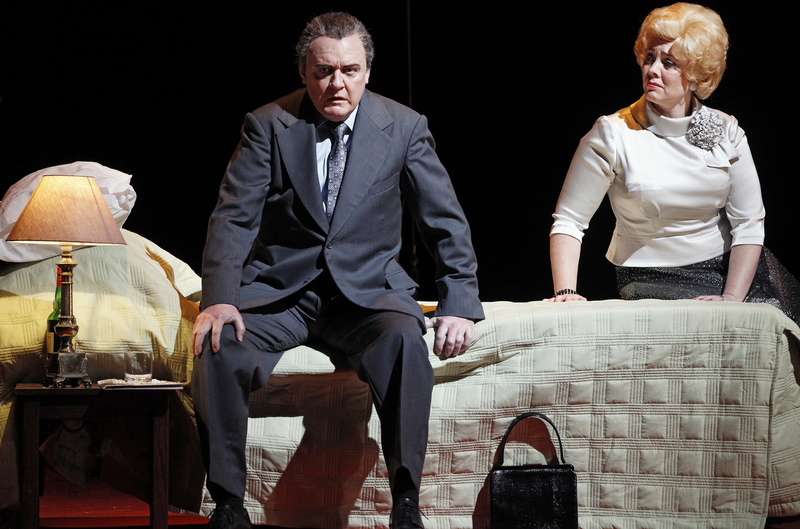 Much loved on the opera stage, mezzo-soprano Dark makes an effortless crossover to music theatre. 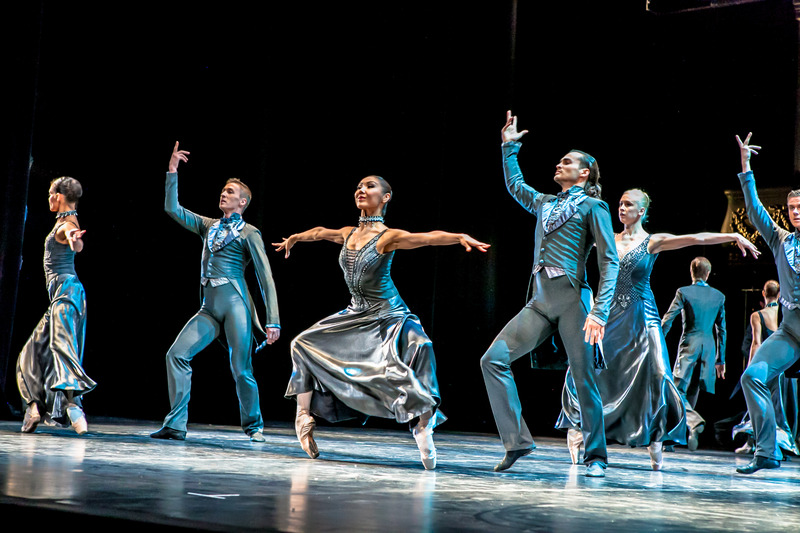 Younger than many singers who have previously played the role, Dark simply goes without makeup and creates the character’s authority with slow, considered movement and her domineering presence. Dark’s relative youth means that we are hearing a singer in their prime, and the act one finale “Climb Ev’ry Mountain” threatens to blow the roof right off the theatre. 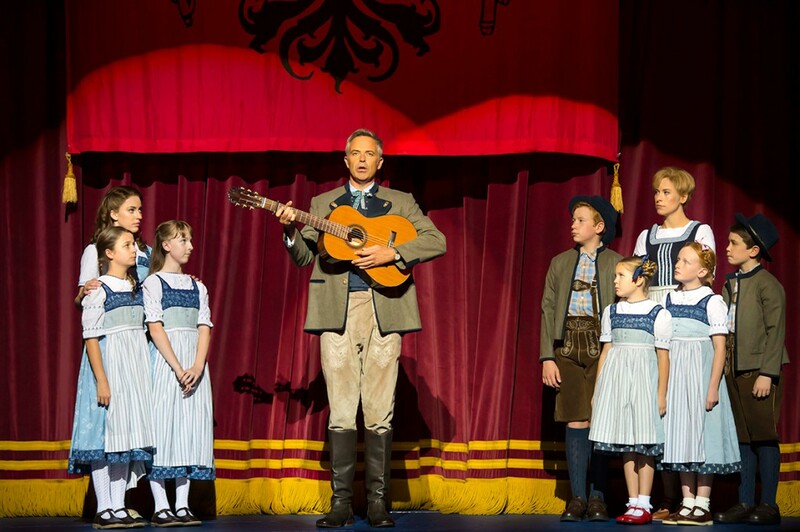 Sams’ direction, recreated in Australian by associate director Gavin Mitford is particularly successful in creating individual characterisations and story arcs for the von Trapp children. 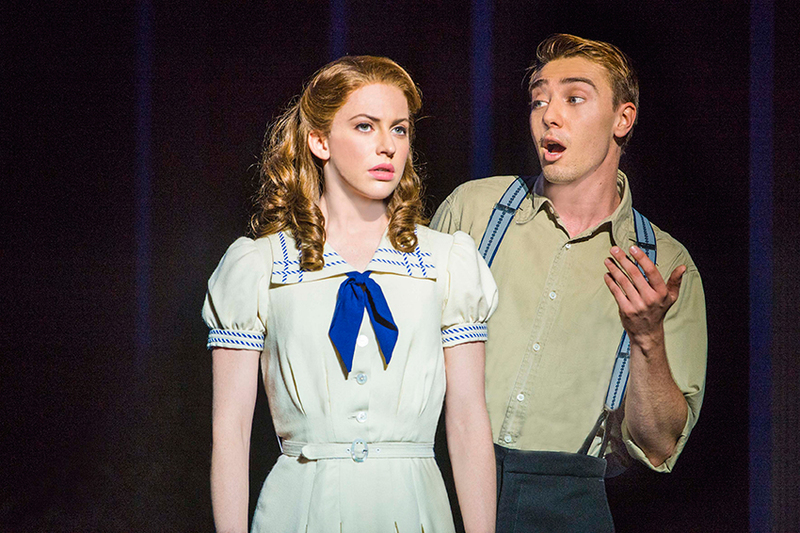 Stefanie Jones is a gracious Liesl, highlighting the character’s burgeoning femininity and battle for independence, whilst also portraying her underlying current of vulnerability. Each of the other six children is played by three performers. The terrific opening night children’s cast was Jude Paddon-Row as Friedrich, Savannah Clarke as Louisa, Louis Fontaine as Kurt, Madison Russ as Brigitta, Erica Giles as Marta and Nakita Clarke as Gretl. Cameron Daddo looks suitably tall and handsome as the Captain. While Daddo’s voice and manner lacks some of the authority of a naval captain needed for the early stages, his later portrayal as the Captain as a gentle, loving man is endearing. The climactic singing of “Edelweiss” is most moving. David James’ ebullient energy elevates the role of Max Detweiler to a higher profile than usual in the show. Marina Prior looks elegant and sings with reliable beauty as the Baroness, but her characterisation is yet to mine the self-centred vanity and silk-gloved ruthlessness of the role. Strong support comes from all manner of supremely talented performers that the production has been lucky enough to enlist. Lorraine Bayly emanates adorable warmth as housekeeper Frau Schmidt. Philip Dodd captures the rigid military background of butler Franz. The three featured nuns (Dominica Matthews as Sister Berthe, Eleanor Blythman as Sister Margaretta and Johanna Allen as Sister Sophia) each display a distinctly individual character. Du Toit Bredenkamp successfully charts Rolf’s journey from romantic lad to dutiful but conflicted nationalist. Anthony Harkin is a brutal Herr Zeller. Special mention Tony Farrell and Meredith O’Reilly for grace and flair in their featured moments. 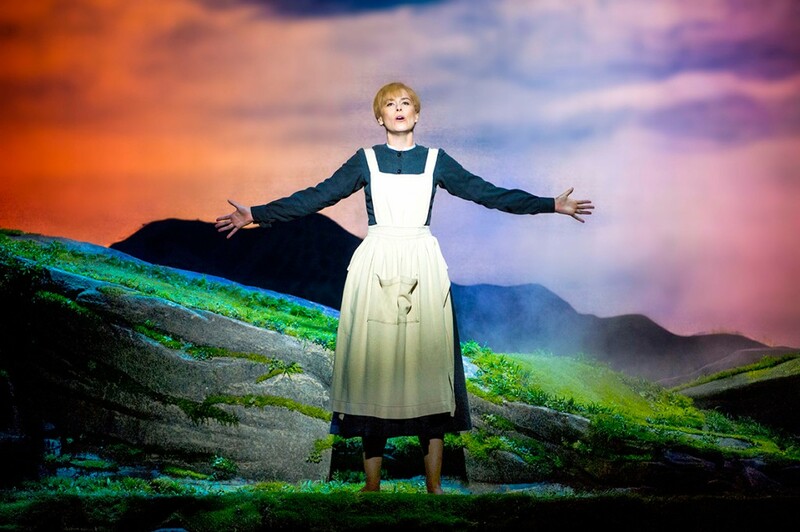 Put simply, The Sound of Music is an unmissable musical treat. 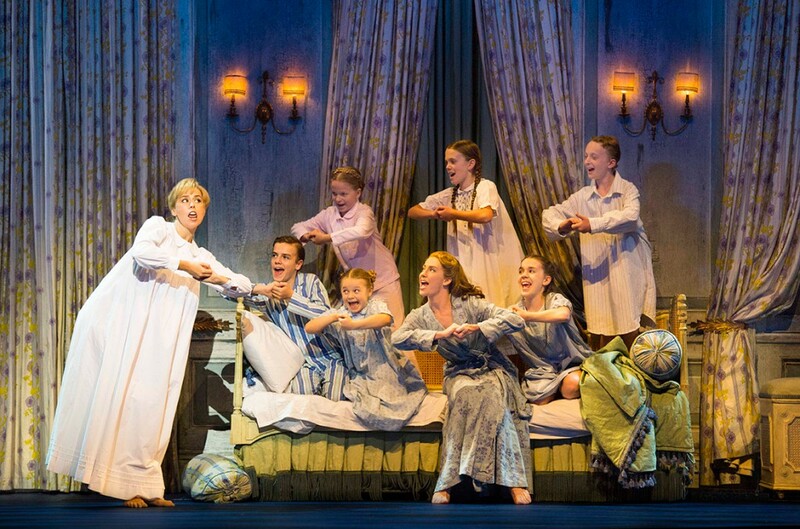 The Sound of Music plays at Capitol Theatre, Sydney before travelling to Brisbane, Melbourne and Adelaide. 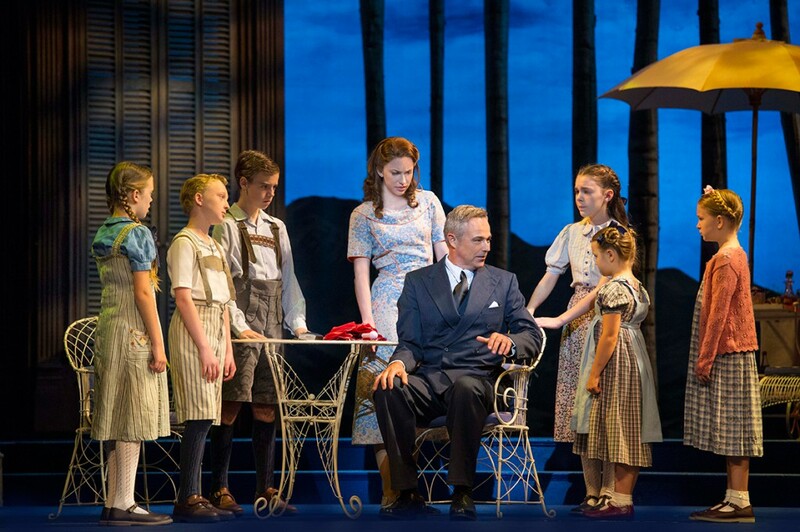 Man in Chair also published more than two dozen photos in The Sound of Music sneak peek. I was incredibly disappointed in the musical. I thought it felt contrived, and it was sooooo cheesy! The adult actors (with the exception of Marina Prior and the Mother Superior)) all sounded like they had wandered off the Playschool set and there was ZILCH chemistry between Maria and the Captain. 16 going on 17 was spoiled, as was The Lonely Goatherd. AL had a wonderful voice but she was but a faint echo of the Maria I grew up with. Cameron Daddo was more wooden than a paddle pop stick and his Edelweiss was painful to the ears. 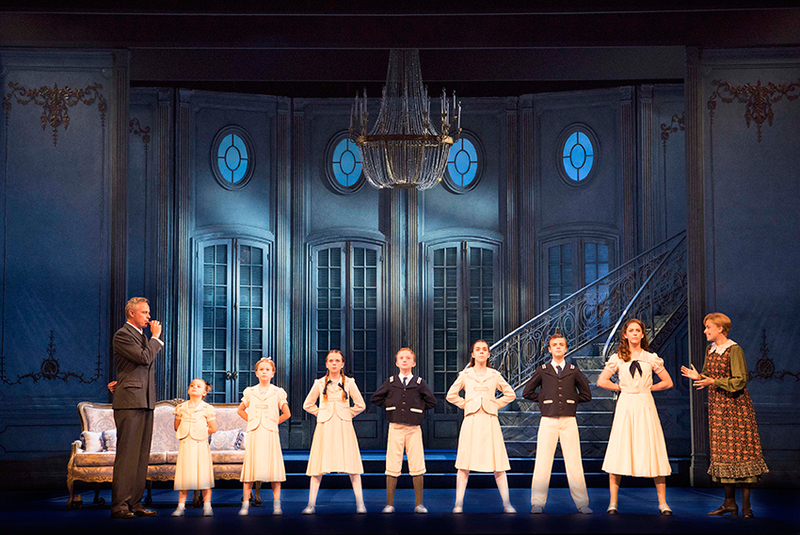 The children were fabulous – the musical’s saving grace. I enjoyed the 2000 production much more. I don’t care if the original (pre-movie) play had ”My Favourite Things’ set in the convent – it belongs in Maria’s room with the kids.